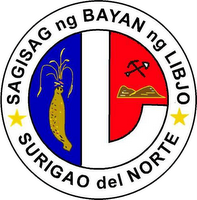 Libjo is a 5th class municipality in the province of Surigao del Norte, Philippines. According to the 2000 census, it has a population of 16,610 people in 3,083 households. Click here for more about its history. Where is Libjo? Libjo is politically subdivided into 16 barangays. hi!louella here. glad to know that you have your own website...wow! im so excited to visit libjo but not this time due to weather condition. wow, libjo is now in the world wide web. i was simply amazed by this site... i browsed thru google and it lead me here. hope to find more articles and pics. this site was pretty amazing....appreciated that much! if you're the kind of person who loves nature on thrill , come and visit Libjo,,you'll enjoy! Hello! It is nice to hear that Libjo is now online. I would like to greet my family and relatives there in Libjo, the Tabat and Navarro families. i read the news paper last sunday, PHIL STAR, 4th class municipality na diay ang libjo? KEEP IT UP!!! i wanna say Congrats!! for having already your own website! !..i wish i can come back there soon...i'm so grateful to meet your vice-mayor..He is so aproachable!...Sweet regards to all Villarosa Family..Miss you all..
Hello mga kababayan nko dha sa Mahayahay libjo,wow I'm trully amazed with this site. I just browsing the Libjo site hoping that one day I'll find one of my friends. THank you very much for making this website. "Mabuhay"
I used to lived in Mahayahay before. But when I was 10 years old we moved to Davao because back then there was always a typhon in Surigao so we decided to moved to davao. Now,I'm here in New York and I'm looking forward to visit Libjo one day. I really miss the nice people and ofcourse the place. I would like to say "hello" to Salutan,Pobadora,maligro,maglahos and etc.families. I miss ya'll.